I have a wonderful Mothers Day giveaway and I could squeal with joy that one of my amazing readers will win this beautiful 24c Gold Open Loop Necklace.. I came across the beautiful jewels from Tiny Tags last year and was lucky enough to receive a beautiful piece for Christmas. Its become a piece I wear everyday... I love having my loves names close to my heart everyday. The necklace is beautiful quality, shiny and timeless elegance. Want to know a little more about the Tiny Tags brand?? Of course you do!! Tiny Tags is a company dedicated to “celebrating the love in our lives.” Our jewelry, and more importantly, our mission, is to celebrate children, and to give back to children and mothers in need. Tiny Tags pieces are classic and chic, and meant to be worn every day as a token and expression of one’s greatest blessings. 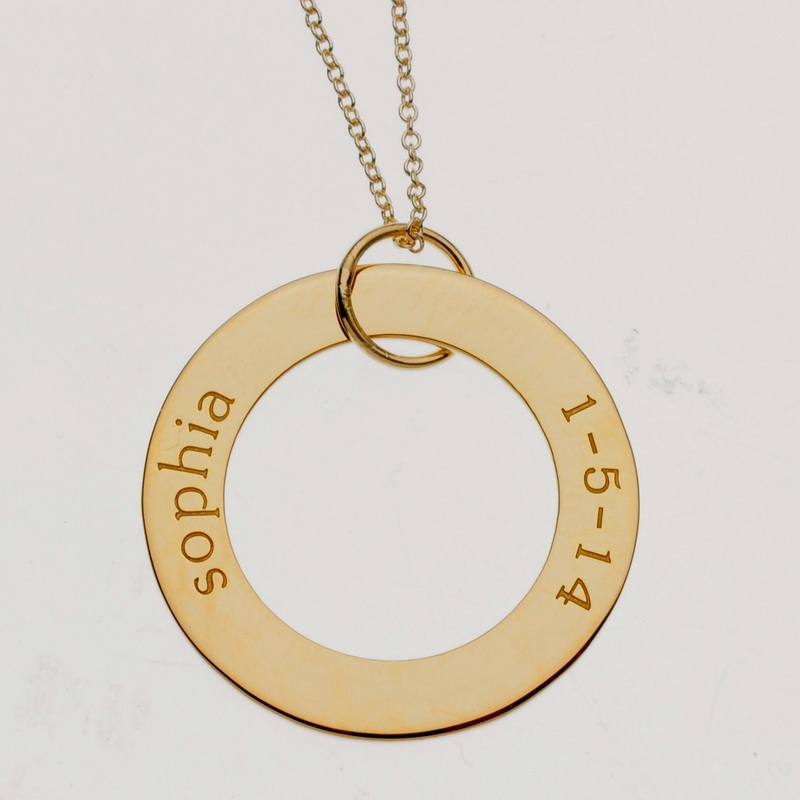 Personalized with children’s names and birthdays or a loved one’s initial or anniversary date, each Tiny Tags piece is custom-made in our studio. I’m Melissa Clayton, and my greatest joy since starting Tiny Tags has been hearing from moms about what having a Tiny Tags necklace means to them: from new moms who are beaming with pride and love over their new bundle of joy, to moms who are wearing their necklaces in remembrance of their little ones or as a symbol of strength for those loved ones dealing with a personal struggle. As a mother of three beautiful, healthy children, I am deeply aware of life’s blessings, and I am passionate about giving back.